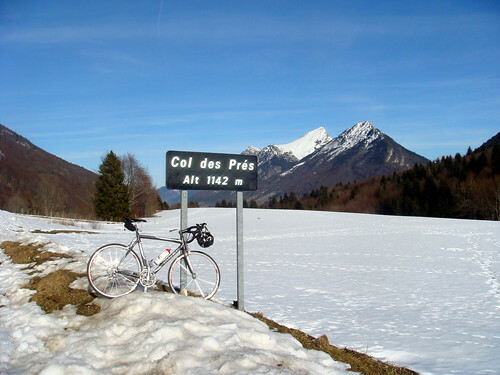 Pré means meadow in French - so Col des Prés clumsily translated means "mountain pass of the meadows." 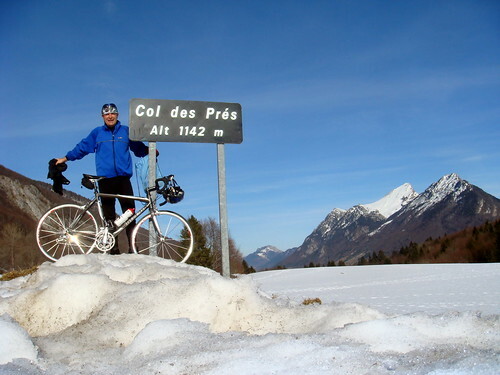 Chambery is one of those French Alps towns that is made for cyclists. Down low, there is a very well developed network of cycling paths – and on all sides are fantastic climbs into the mountains. Pré means meadow in French – so Col des Prés clumsily translated means “mountain pass of the meadows” (which makes sense as at the top it opens up into alpine meadows). I started outside Chambery to minimize the first few busyish kilometres. 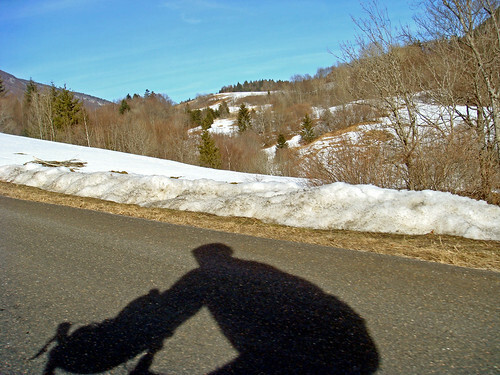 After St Jean d’Arvey, it’s becomes a very nice wide-open, quiet road, that winds up the side of the mountain. I hadn’t expected to get lost, but I came to an intersection with no signs and took the “up” road, not remembering there was a descent in the middle of the climb. Fortunately, this led to a superb little detour through the woods and a couple of tiny villages. No harm no foul. While a fair bit of snow near the top, the roads were perfectly cleared. On the descent I considered detouring to Col de Plainpalais – but my legs told me to call it a day. 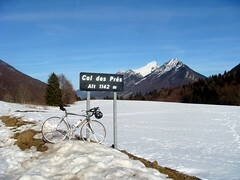 Note: There is also a Col du Pré, a fantastic climb above Beaufort. 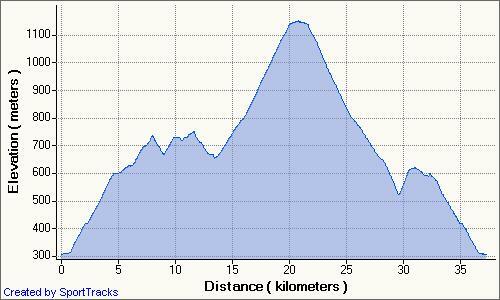 Is this your idea of a reco ride ride?